With the grueling hours of training underneath your belt and the race just a couple weeks away, it’s time to start planning out the day of the race. Training plans make it easy to prepare for the actual race itself, but what about the logistics of race day? Planning out exactly how the time before the race goes is a bit tricky, but manageable with these tips and friendly reminders. First things first, if it’s an hour before the race starts, you don’t want to be eating a meal. It takes the body longer than an hour to digest the food you ate, which means you’ll be feeling sluggish and bloated when the race starts. That being said, eat your meal at least three hours before your race starts. Within the last hour before your race you can eat more manageable foods like bananas. Carbohydrates are your pre-race friend. Why? It’s because carbohydrates will provide energy for your body to break down during the race. There are many different ways to get carbs in your diet. Oatmeal and bananas are great foods for getting the carbohydrates that you need without bogging you down like a pasta meal would. If you want something more substantial on race day try eating a bagel. Don’t completely ignore these groups, but do avoid foods high in proteins, fats, and fiber before the race. Foods high in fat and fiber will have the tendency to leave you feeling full through the start of the race, which makes it uncomfortable to preform your best. Proteins are fine and dandy, but you want most of your stomach to be digesting carbs, so that you can benefit from more energy. Protein is best for after the race. It’s a good idea to check certain aspects about the race you signed up for. Re-read your entry form or the details on the website a few days prior to the race. Make sure that if you plan to pick up your race packet the day of that that option is available. Check the different designated places for rehydration, meeting spots, and where to check-in your baggage. It’s always a good idea to warm-up your body before a race. This helps your brain communicate with your muscles and gets your body ready to exert itself. Skipping a warm-up results in a delay of performance, because your body hasn’t connected how much fuel you need for the energy output you want. Try a few of these pre-race warm-ups. As simple as the name states, you are trying to get your knees as high as possible. To do this start in a standing position and almost as if you are trying to run in place, bring your right knee up towards your chest and then set it back down. Then bring your left knee up towards your chest and set it back down. 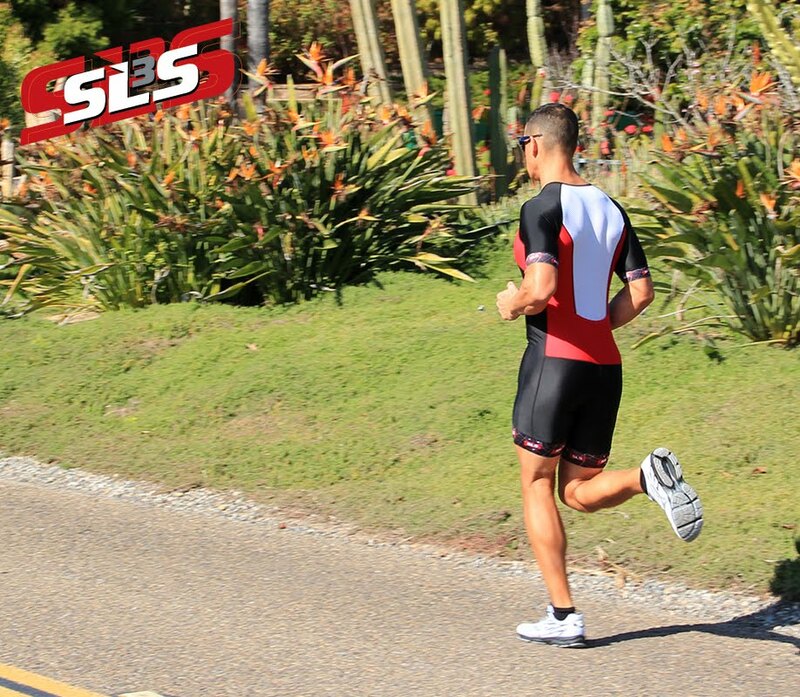 This is a fast-paced movement so alternating your legs fast is key. Lunges are great for limbering up before the race. To do forward lunges start in a standing position with your back straight. Step with your right foot a few steps in front of you and bend your right knee. Your right knee should remain perpendicular to the ground, so your knees should not go over your toes to make sure you do not injure yourself. Switch legs to stretch both sides. A good variation on this lunge is side lunges. Instead of stepping forward with your right leg, step to the side with your right leg. Bend your right knee and let your body move to the right, which should force your left leg to be straight. It should look like you are almost attempting to do a spilt. Stretch out your spine before the big race to smooth out any kinks in your back. A great stretch is to touch your toes, making sure to go slowly so you can feel the stretch in your spine. From touching your toes, go into the opposite position and bend yourself towards the sky. Pre-Race nerves and anxiety is common amongst runners, especially if you are new to the activity or the particular race. Here are a few of the best ways to calm your nerves, so you can perform your best on race day. A great way to calm your nerves is to plan everything out before the day actually comes. For me, that means making lists ahead of time, so a week in advance I’ll start a list of what to pack for the race. Then if I suddenly remember days later that I forgot to pack my goggles, I can add that on the list. After you have a packing list, visualize the morning of the race. What are you going to have for breakfast? What time will you leave the house? Once you have the morning down think about the race. Imagine the course and the transitions you’ll need to make. If you have a laid out visual of how you intend the morning and race day to go, it’ll make it easier for you to calm your nerves. Recently, I called my sister in a state of anxiety and asked her what to do. She suggested to repeat a mantra over and over in my head and slowly it will calm me down. This applies to racing as well. If you find yourself getting nervous, figure out the detail that most worries you and then refute that detail with your personal mantra. Maybe your worried about open water, repeat a mantra geared towards that fear, like “no sharks will hurt me”, “The ocean is strong, but I am stronger”. Something that helps you control your anxiety. Never ever, ever, try out new shoes, clothes, or consumables the day of the race. New shoes will end up giving you blisters if you try to break them. Clothes might affect your race day potential by chaffing unexpectedly. New food, gels or hydration might mess with your stomach, which might leave you more focused on getting to a bathroom than the finish line. Save your new goodies for training. Don’t forget about transportation to the event. If you decide to take public transportation research if the chosen method typically runs on schedule or not. Maybe you’re local and prefer to drive yourself to the race. Where will you park? Will you be able to leave after you are done with the race or will all the roads that exit your parking area be blocked off till after everyone finishes? The last thing you want is to be stuck in a parking lot exhausted and ready to go home. There is also the consideration of if you want someone to drive you home or carpooling. Will they know where to meet you and where they should park? Consider your transportation options and preferences before you head out on race day. Now that you have your pre-race planned out and you’ve re-read the details of the event it’s time to get your head in gear so you can perform the best you can. Remember not to fret the small stuff if it doesn’t go the way you visualized.